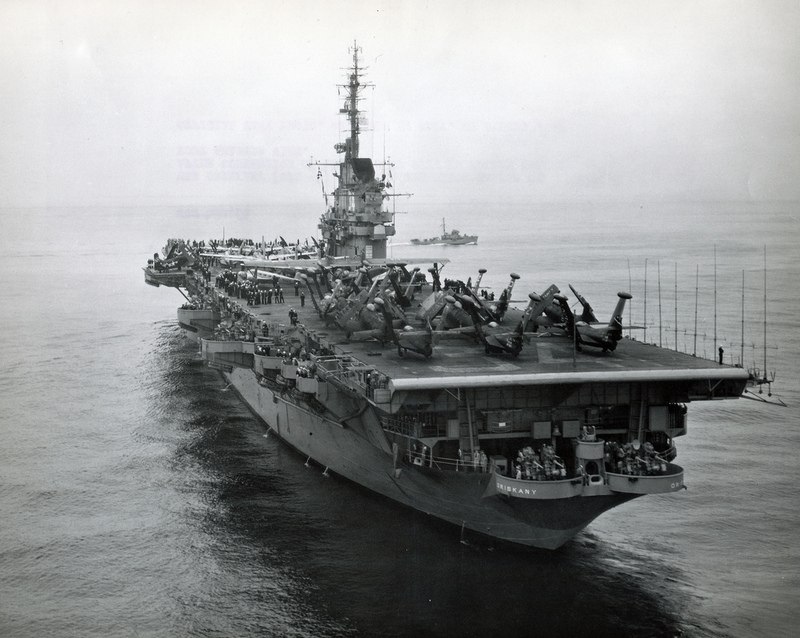 The USS Oriskany was an aircraft carrier used by the United States in the Korean War as well as the Vietnam War. It had exemplary service and even won a number of battle stars. After a long life of service to her country she was retired and brought to my home town, Pensacola to be sunk as a diving site. She lies now over 200 feet under the surface and serves as an awesome place for divers to explore. There are a lot of fish and other marine life out there and some photos from the dive area are really spectacular. Check out the 2 min video here. How cool is that? As most of you know, I’m claustrophobic and I once had a total panic attack doing scuba so I don’t do that anymore but I sure can live vicariously through the films and videos. Wow, a very interesting video. Great FF. Okay, I’m going to take a chance and comment, praying you are already fast asleep. I know you just got home. 🙂 I used to scuba dive, when I was much, much younger. It’s funny that I didn’t feel claustrophobic with that, because I do suffer from claustrophobia. However, the deepest dive I ever did was 105 feet. Not sure I could have done 200 feet, even back then.